After Prime Minister Narendra Modi spoke of the national vision to double farmers’ income, laying it out as a challenge last year, many have partaken in suggesting strategies, programmes, and resources to achieve this objective. These include policymakers, ex-policymakers, industry councils, students, well-wishers, and most importantly, farmers. A certain consistency is evident among the recommendations that are put forth. The uninitiated profess that a quick and straightforward solution is possible to the complexities of agriculture. Those more rooted in ground level realities, including farmers themselves, will seek coherent tackling of the wide variety of concerns. Usually, the novice will suggest raising subsidies on agricultural inputs, a-la the Chinese model, and raising the government administered support price for certain crops. In effect, they wish that the government subsidise the production, and thereafter purchase the output at a raised cost. This essentially means that agriculture be addressed as a public sector project, and worse, with logic that advocates to further expand the inbuilt inefficiencies. It is ingenuous minds who raise imagery of a perpetual cycle of under-priced inputs and artificially priced outputs; a cycle of fabricated demand and magical reality. Sadly, such naiveté is not unique to novices but has also been the approach of a few ‘experts’, who tend to pursue answers to sequential equations, seemingly unaware of the magnitude and diversity of variables that agriculturists have always sought to balance. A wider market offers optimal price, the common citizen being the largest source of revenue for farmers. There are some who also profess that this vision is a pipe dream and needs divine intervention. India has passed the age of ‘bearded babas waving magic wands’, is increasingly grounded in reality, and seeks sustainable answers with long-term solutions. These kind of suggestions are from those who remain unable to perceive the farmer as an enterprising business person, one who seeks to expand and grow, rightfully. Instead they, consciously or subconsciously, accede farming to be a failed venture, whose growth cannot be linked to its markets. Lacking capacity, such proposals are stop-gap answers and inadequate in vision and understanding. Agriculture is not bound by the few crops that have administered or minimum support prices (MSP). Farmers output a large bouquet of produce, in multiples of the MSP rated crops. The MSP mechanism benefits very few farmers who grow wheat, paddy, sugarcane and cotton, and only in regions where it is honoured through linked procurement. Physical access to a one-India market, one of the largest in the world, is what the farmers really strive for. The government’s own procurement is limited in range and coverage (for building strategic buffers mainly), and the administered price system is a minimum cost-plus model to offer margin support. Whereas a wider market offers optimal price, the common citizen being the largest source of revenue for farmers. Ineffectual linkage with this larger market disallows farmers from connecting with the best value, leaving them no recourse but to settle for minimum returns. Farmers today, need to monetise their produce for optimal value. Not just the reprieve at any nearby market, but at markets further afield where they feed real and ready demand. Physical access to a one-India market, one of the largest in the world, is what the farmers really strive for. They are not ones who pursue gratuity in perpetuity but seek equal opportunity and scope to grow. Growth that will come when agriculture is developed as any business enterprise should be driven by a value that is market-led. Anything less means being sated with cost-plus models or waivers, and thereby missing the bigger agenda. The Prime Minister’s challenge was not a loosely cast gauntlet, asking for quick-fix reactions. His dare positions a short-term objective and lays the ground for a changed approach in thought and action: on how we treat farmers. It directs towards a very long-term progressive phase in India’s future. This is not a matter to be scoffed or one that invites counter challenges, it is actually a notion towards greater national prosperity, inspiring and one that must be worked and advanced upon. A committee for doubling farmers’ income, constituted by the Ministry of Agriculture & Farmers’ Welfare, has introduced what is probably the most extensive and comprehensive series, of both the strategies and the tactics, of implementable actions that will lead to sustained income growth for farmers. Also known as the DFI Committee, its draft reports are available on the Ministry’s website, inviting public comments. All concerned should review the documents with a holistic perspective, and suggest how various proposals by the committee can be strengthened for a more constructive and coherent phase in India’s nation-building. Primarily, future strategies must aim to ensure that farmers are empowered with a choice of market. 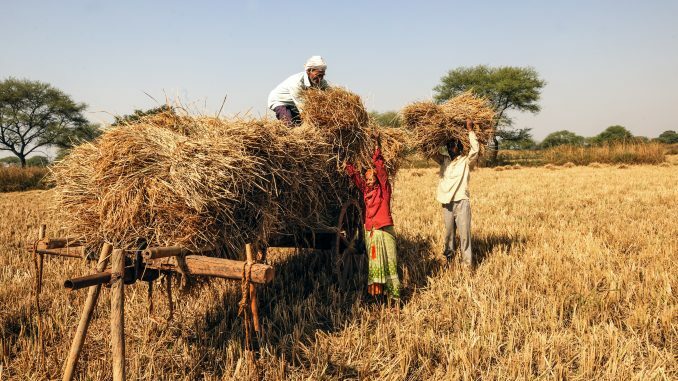 Farmers need not monetise their produce only through near-farm transactions, but be facilitated with agri-logistics to connect with the pan-India market, so as to supply at the best price possible. The consumers’ changing preferences and associated demand cannot be de-linked from farmers’ income growth. Market-led agriculture must replace blind drives to increase production. Higher output does not add to income unless connected with markets. The marketing system itself needs to be opened up, disabling the rules that discourage wider participation from entrepreneurs. It is time to break the shackles that weigh down agriculture, the very restraints that were released off industry in the liberalisation years. It is time to redefine agriculture, with a vision that is not constrained by past insecurities, and revamp the heartland of India. There is no India, no city, no society, without agriculture and this reality is slowly sinking in. Agriculture will, and slowly is, recovering its rightful place in our socio-economic matrix; we just need to accelerate this momentum sensibly. Not for now, or for tomorrow, but for many coming decades.